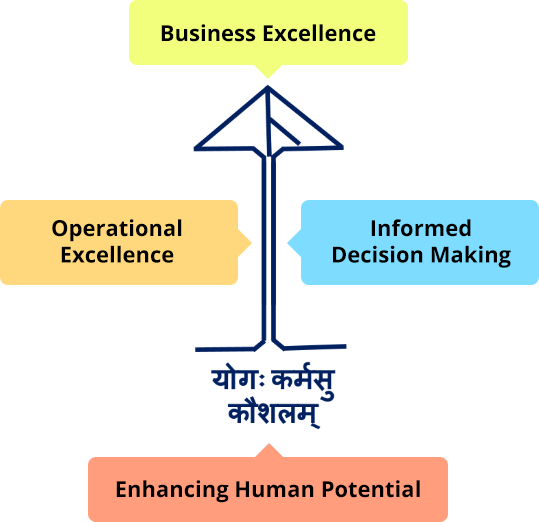 Savoir faire has been helping Corporates in Business Excellence, Operational Excellence and Informed Decision Making for almost three decades now. We have been consistently working and improving on frameworks and models that are appropriate for specific businesses. We have worked closely with Industries across spectrum – Process, Discrete Manufacturing, Projects and Service. We believe, that the people working within the organisation are closer to reality. They can relate to their processes and practices better than anyone else. They are more capable to bringing in change within themselves. As a facilitator we are catalyst for that change. We believe, that the initiatives to be sustainable must cease to be initiatives and be part of the DNA of the Organisation. People across hierarchy need to focus majority of their efforts on continuous and sustained improvements. It is imperative that People work with relentless focus on Customer need, Focus on Long term profitability backed by Relevant Information. Thus, they can align the products and processes to the customer requirement. 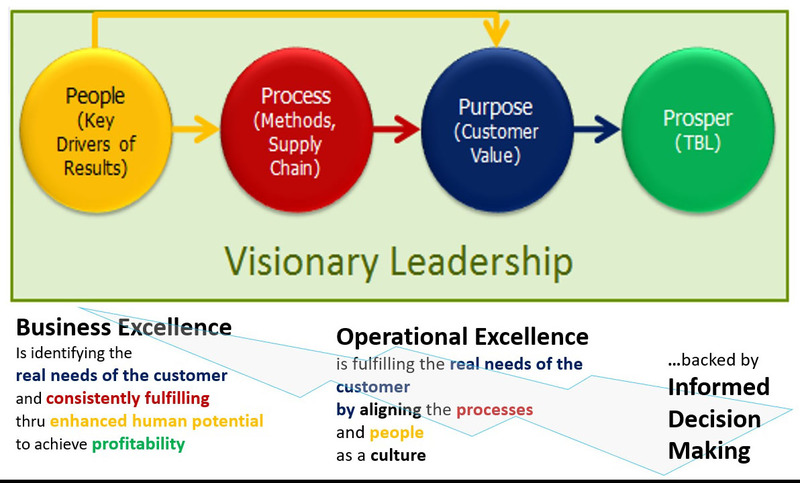 This will go a long way in the journey of Business Excellence.